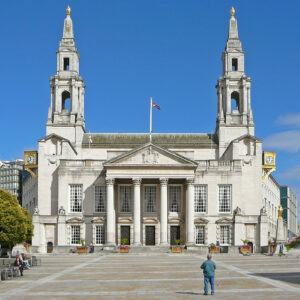 The UK2070 Commission are pleased to today announce a ‘save the date’ for our National Symposium, to be held from 10am-4pm on Thursday 13th June 2019 at Leeds Civic Hall thanks to our partners and hosts, Leeds City Council. The event will act as a National Forum to both share the work of the Commission to date, and also to obtain the views of interested stakeholders about our First Report, which is presently being drafted and will be published later this spring prior to this event. The UK2070 Commission is particularly looking forward to hearing the thoughts of policymakers, politicians, business leaders and civil society about our work to date; and will use comments received in Leeds to both inform our work and to refine the First Report prior to publication of the Final Report. The event will also see a number of high profile speakers in attendance debating the themes of the report and facilitating further comment from the floor. If you like to register your attendance at our National Symposium then please email your contact details to UK2070Commission@turntown.com; however, please be aware that capacity will be limited to 250 places and demand is expected to be very high! In the meantime, the Commission would like to remind readers that while the initial Call For Evidence ended on 16th November 2018, due to unprecedented demand and having received 100 submissions already, our Call for Evidence remains open should you or your organisation not already have contributed – for more information please click the link provided.